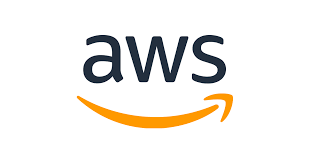 We are looking for an experienced Systems Development Engineer Team Lead to help the team take AWS Marketplace to the next level. As a Systems Development Engineer Team Lead you will work with a wide variety of technologies and projects that range from third party enterprise solutions to open source and proprietary inventions to solve for the business needs. The ability to build productive relationships with colleagues at remote sites around the world will make you successful in this role as will patience and a sense of humor. You can expect to constantly learn new things and expand your knowledge to meet varying business demands. You will help build and lead the systems engineering/development team. The ideal candidate will have a demonstrable track record of success delivering new features or products as well as having experience leading teams. This person has thrived and succeeded in delivering high quality technology products/services in a hyper-growth environment where priorities shift fast. He or she has strong design and implementation experience, strong knowledge of web services and protocols, and an in-depth knowledge of distributed systems architectures. Experience with asynchronous workflow systems is a plus. Having a desire to move into a manager position in the future is ideal. BASIC QUALIFICATIONS· B.S. in Computer Science, Engineering or a related technical field. PREFERRED QUALIFICATIONS· Deep knowledge of the Linux operating system. · Flexibility, thinking on your feet, and strong problem solving skills.